Miniature dish with straight sides, wide flat base, and plain rim. 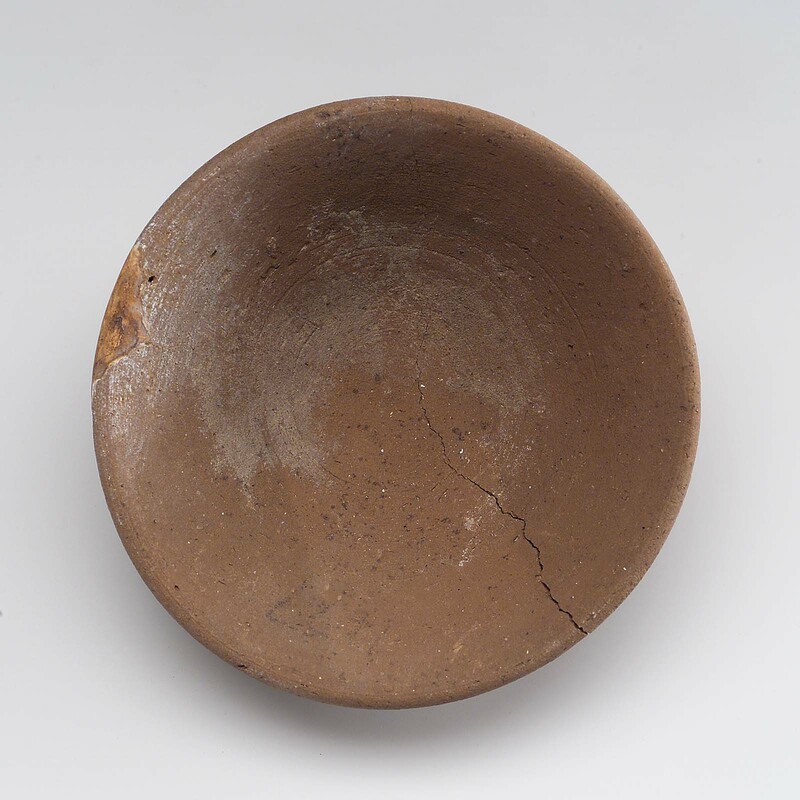 Brownware with traces of white slip. Broken and repaired at rim in plaster; large body crack. From Giza, G 7000 X / Exp.Ph. "42" / BG. 455. 1934: excavated by the Harvard University-Museum of Fine Arts Expedition; assigned to the MFA in the division of finds by the government of Egypt.